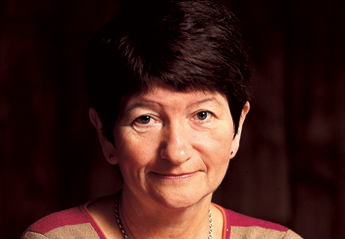 What does famous lemur researcher, Dame Alison Richard, do when she has a burning question she can’t answer? 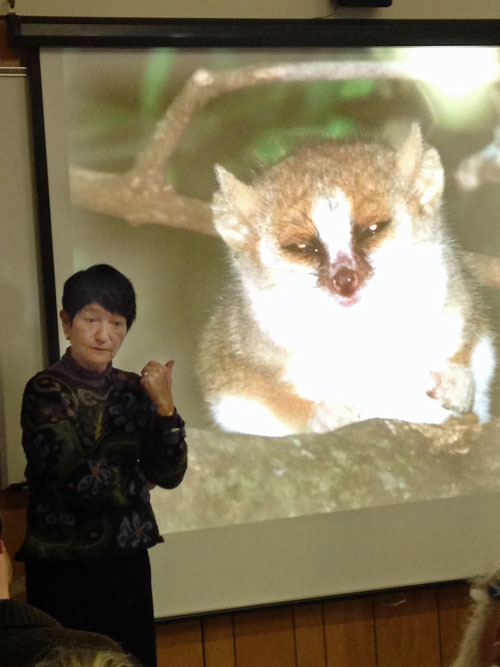 She visits Duke and appeals to a room full of lemur enthusiasts to help out. Richard’s question concerns the curious case of the mouse lemurs at Beza Mahafaly in southwestern Madagascar, where she has been involved in a wildlife-monitoring program since the mid-1990s. 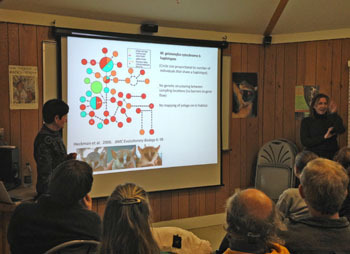 Alison Richard (left) and Lemur Center Director Anne Yoder (right) lead a discussion in the ‘Beach House’ at DLC. Everywhere else in Madagascar, mouse lemurs that look indistinguishable are classified as different species due to big variations at the genetic level. But at Beza Mahafaly, Richard is finding that mouse lemurs with major deviations in appearance are genetically the same. For a long time, the general view was that there were two species of mouse lemur in the forests of Beza Mahafaly : the gray-brown mouse lemur and the gray mouse lemur (both being exceptionally adorable). A few studies in the mid-1990s and early 2000s compared the shapes of certain features such as jawbone shape and leg length, and confirmed this view. Then, researchers started noticing a few trapped animals that had very noticeable differences in coat coloration. These animals were redder than the other two known species. Was this a possible third species? In 2006, Duke Lemur Center Director, Anne Yoder, and her former Ph.D. student Kellie Heckman examined this same population of mouse lemurs from a genetic standpoint. Comparing sequences of DNA they expected to find major genetic differences between the two known species, and possibly confirm the existence of a third species. “The genetic data was a disaster for the mouse lemurs,” Richard said. All the samples collected from animals at Beza Mahafaly, regardless of the animal’s outward appearance, sorted together and seemed to be one species. She offered up some suggestions: A glimpse of an ongoing process of change? A replacement by one species over another? The beginning of a new species?